To avoid running your performance engine lean, you need to “amp” up your fuel system. The best upgrade to use is the ZEX Booster Fuel Pump Kit. It is installed in-line, so there is no need for the mess of dropping your fuel tank. 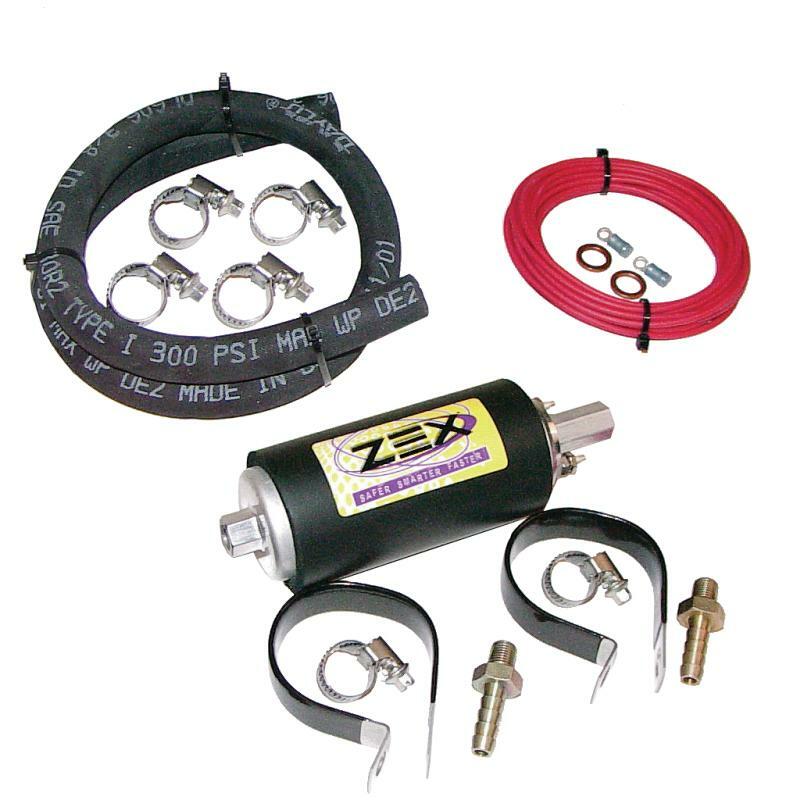 Unlike other manufacturers who just sell you a pump, the ZEX Booster Fuel Pump Kit includes all the hoses, hose clamps, wiring, etc. you need for an easy and clean install. 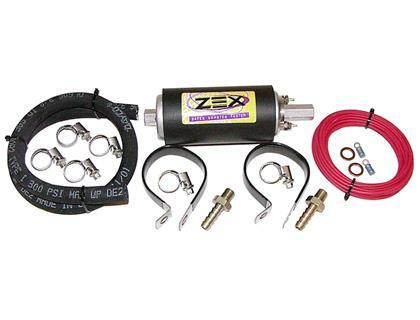 The kit provides the potential to boost your fuel system flow capacity up to 650 hp, even on high fuel pressure turbo, supercharged, and nitrous applications. So “amp” up and ensure that you always have the fuel you need to beat your competition.